Abbas Qutab, D.C., is a chiropractor located in Worcester, MA. Take the next step and contact Dr. Abbas Qutab, D.C., for a consultation in Worcester, MA or to get more information. 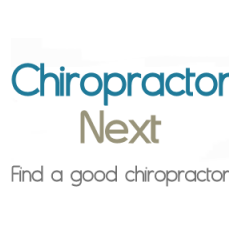 George A Wood, D.C., is a chiropractor located in Worcester, MA. Techniques: • Diversified • Flexion-Distraction • Palmer Package • Soft Tissue Orthopedics • Trigger Point Therapy Take the next step and contact Dr. George A Wood, D.C., for a consultation in Worcester, MA or to get more information. James J Convery, D.C., is a chiropractor located in Worcester, MA. Take the next step and contact Dr. James J Convery, D.C., for a consultation in Worcester, MA or to get more information. David A Sherman, D.C., is a chiropractor located in Worcester, MA. Techniques: • Diversified • Palmer Package Take the next step and contact Dr. David A Sherman, D.C., for a consultation in Worcester, MA or to get more information. Angelo Giolekas, D.C., is a chiropractor located in Worcester, MA. Take the next step and contact Dr. Angelo Giolekas, D.C., for a consultation in Worcester, MA or to get more information. Neil R Tibbetts, D.C., is a chiropractor located in Worcester, MA. Take the next step and contact Dr. Neil R Tibbetts, D.C., for a consultation in Worcester, MA or to get more information. Elizabeth Stefos, D.C., is a chiropractor located in Worcester, MA. Techniques: • Diversified • Nimmo • Cox • Sacro Occipital Technique Take the next step and contact Dr. Elizabeth Stefos, D.C., for a consultation in Worcester, MA or to get more information. Alan P Du Bois, D.C.
Alan P Du Bois, D.C., is a chiropractor located in Worcester, MA. Take the next step and contact Dr. Alan P Du Bois, D.C., for a consultation in Worcester, MA or to get more information. Margot R Barnet, D.C., is a chiropractor located in Worcester, MA. Take the next step and contact Dr. Margot R Barnet, D.C., for a consultation in Worcester, MA or to get more information. Karen St Laurent, D.C., is a chiropractor located in Worcester, MA. Take the next step and contact Dr. Karen St Laurent, D.C., for a consultation in Worcester, MA or to get more information. Michael Finnegan, D.C., is a chiropractor located in Worcester, MA. Techniques: • Diversified • Cox • Flexion-Distraction • Myofascial Take the next step and contact Dr. Michael Finnegan, D.C., for a consultation in Worcester, MA or to get more information. Samir Hamdan, D.C., is a chiropractor located in Worcester, MA. Take the next step and contact Dr. Samir Hamdan, D.C., for a consultation in Worcester, MA or to get more information. George A Debs, D.C., is a chiropractor located in Worcester, MA. Techniques: • Applied Kinesiology Take the next step and contact Dr. George A Debs, D.C., for a consultation in Worcester, MA or to get more information. A Peter Pingalore, D.C., is a chiropractor located in Worcester, MA. Techniques: • Thompson • Gonstead • Palmer Package • Cox • Flexion-Distraction Take the next step and contact Dr. A Peter Pingalore, D.C., for a consultation in Worcester, MA or to get more information. Carlo Longobardo, D.C., is a chiropractor located in Worcester, MA. Take the next step and contact Dr. Carlo Longobardo, D.C., for a consultation in Worcester, MA or to get more information. Kenneth W Harling, D.C., is a chiropractor located in Worcester, MA. Techniques: • Gonstead • Applied Kinesiology • Diversified • Activator Methods Take the next step and contact Dr. Kenneth W Harling, D.C., for a consultation in Worcester, MA or to get more information. Jonathan T Engquist, D.C., is a chiropractor located in Worcester, MA. Take the next step and contact Dr. Jonathan T Engquist, D.C., for a consultation in Worcester, MA or to get more information. James A Duca, D.C., is a chiropractor located in Worcester, MA. Take the next step and contact Dr. James A Duca, D.C., for a consultation in Worcester, MA or to get more information. Daniel D O'Day, D.C., is a chiropractor located in Worcester, MA. Techniques: • Diversified • Cox • Trigger Point Therapy Take the next step and contact Dr. Daniel D O'Day, D.C., for a consultation in Worcester, MA or to get more information. Robert C Day, D.C., is a chiropractor located in Worcester, MA. Techniques: • Diversified Take the next step and contact Dr. Robert C Day, D.C., for a consultation in Worcester, MA or to get more information. John Kulig, D.C., is a chiropractor located in Worcester, MA. Take the next step and contact Dr. John Kulig, D.C., for a consultation in Worcester, MA or to get more information. Kelly Cao, D.C., is a chiropractor located in Worcester, MA. Techniques: • Diversified • Activator Methods • Flexion-Distraction • Nimmo • Trigger Point Therapy Take the next step and contact Dr. Kelly Cao, D.C., for a consultation in Worcester, MA or to get more information. Brian T Cotter, D.C., is a chiropractor located in Worcester, MA. Techniques: • Palmer Package • Trigger Point Therapy • Nimmo • Activator Methods Take the next step and contact Dr. Brian T Cotter, D.C., for a consultation in Worcester, MA or to get more information. Leanne Lahiar, D.C., is a chiropractor located in Worcester, MA. Take the next step and contact Dr. Leanne Lahiar, D.C., for a consultation in Worcester, MA or to get more information. Francis P Ermilio, D.C., is a chiropractor located in Worcester, MA. Techniques: • Gonstead • Applied Kinesiology • Diversified • Activator Methods Take the next step and contact Dr. Francis P Ermilio, D.C., for a consultation in Worcester, MA or to get more information. Sean P Thornton, D.C., is a chiropractor located in Worcester, MA. Techniques: • Diversified • Thompson • Flexion-Distraction • Activator Methods • Manual Adjusting Take the next step and contact Dr. Sean P Thornton, D.C., for a consultation in Worcester, MA or to get more information. Ron Tebo, D.C., is a chiropractor located in Worcester, MA. Take the next step and contact Dr. Ron Tebo, D.C., for a consultation in Worcester, MA or to get more information. Michael A Polseno, D.C., is a chiropractor located in Worcester, MA. Techniques: • Activator Methods • Cox • Applied Kinesiology • Manual Adjusting Take the next step and contact Dr. Michael A Polseno, D.C., for a consultation in Worcester, MA or to get more information. Lisa M Brinkman, D.C., is a chiropractor located in Worcester, MA. Take the next step and contact Dr. Lisa M Brinkman, D.C., for a consultation in Worcester, MA or to get more information.